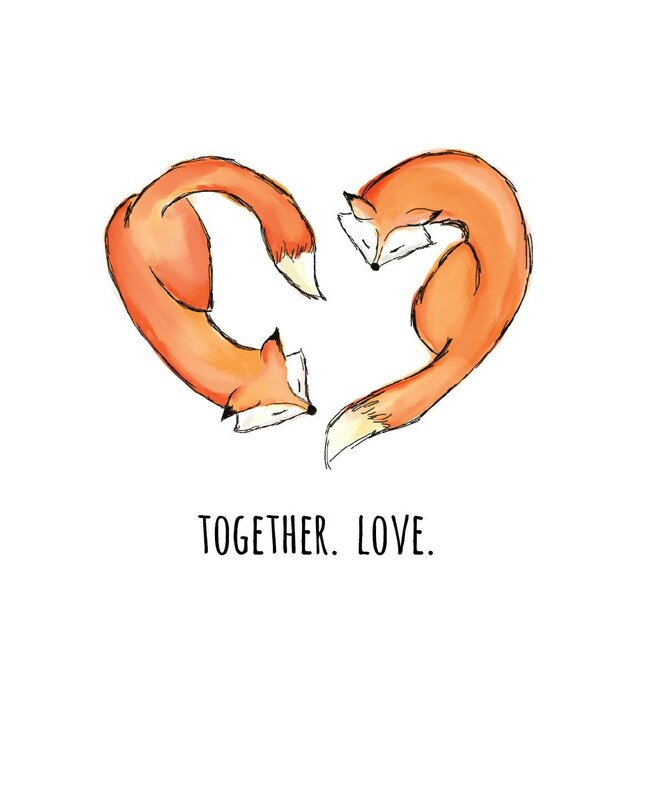 Fox wedding print | Together. Love. For your fox family. A perfect wedding gift for that woodsy couple. Subtle, sweet, & sincere. Prints are high quality giclee prints and are shipped flat, unframed.